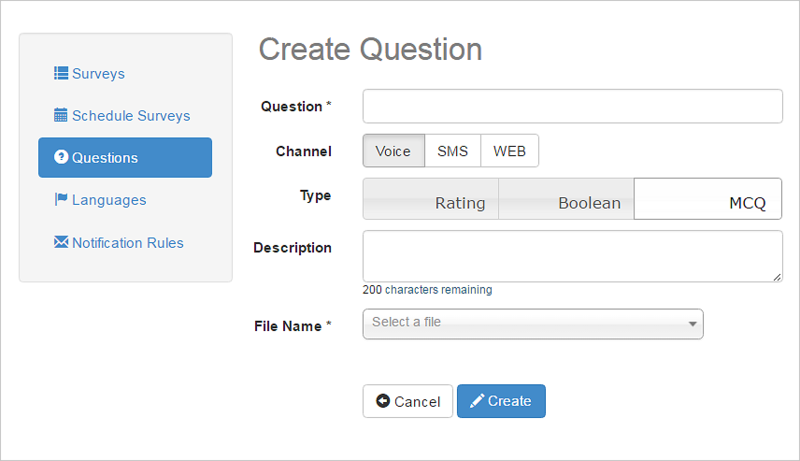 Get customer feedback by triggering surveys via voice (IVR), SMS or web. 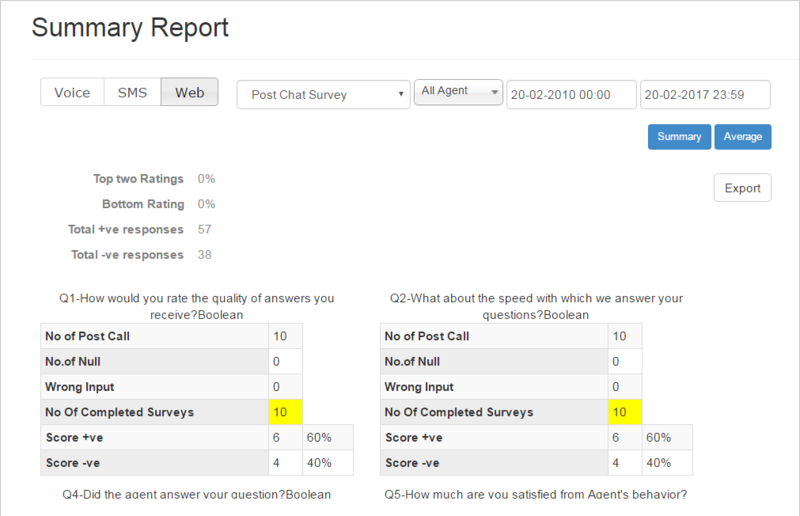 Call center surveys can be happened as part of the call if the agent or script forwards the call to the survey or alternatively, at the end of the call as a separate follow-up survey. Available for all Cisco contact center platforms including Express UCCX, Enterprise UCCE and Packaged CCE. 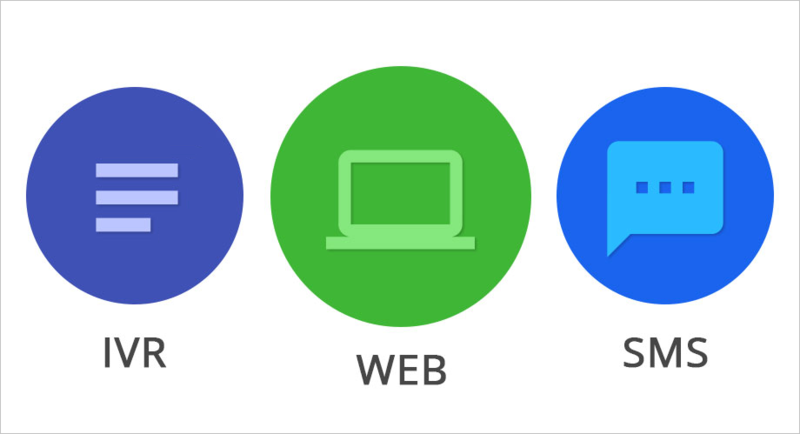 Select the most appropriate channel to get customer feedback. Play an IVR with a certain set of questions or send an SMS at the end of the call and/or show a web survey to the customer with a customizable questionnaire at the end of a UCCX chat. 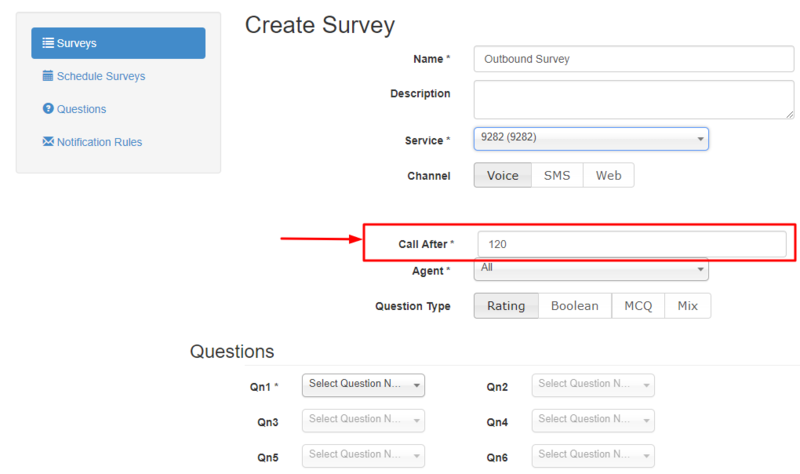 Create several surveys per call center DN or helpline with a web-based admin portal. Switch a survey on or off at any time. Control survey execution with schedules to run surveys only during specified hour(s) of a day, day(s) of the week. Administrators define survey questions on their own. Add as many as 10 questions in a survey. Use different questionnaires in different surveys based on conditions such as the DN where the call landed. 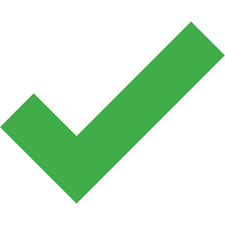 Dial a delayed callback survey to the customer as soon an inbound call ends or proactively to a list of customers. Configure the callback delay as per your business requirements. Get customer insights with detailed survey reports. Since the survey solution is part of Expertflow CIM, survey results can also be attached to the customer interaction history and made available to agents with the Customer Profile & Interactions gadget, to let them handle future interactions more carefully . Survey scores can be extracted and stored in external systems such as your CRM over APIs and can also be made available as Cisco CUIC reports. Database MS SQL Server 2014/2016 Standard or Enterprise editions. To support an HA deployment, an SQL Server fail over cluster is required to be set up to provide DB fail over.